PMC – Poisandra is coming!! After unending questions and demands by fans, Bandai America has just revealed at Power Morphicon that a 5″ Poisandra figure is coming to a store near you! TokuNation‘s very own Admin Kickback is at the Power Morphicon where he snapped this picture of the long awaited figure. Stay tuned as we bring more info to you live from the panels and show floor! 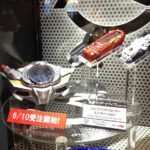 The Tokyo Toy Show has finally revealed the previously announced new Shift Car Set from the upcoming Mach & Heart Kamen Rider Drive Saga V-Cinema! Details are scarce at the moment but these display pieces give us our first clear looks at DX Shift Hearttron & DX Shift Ride Crosser! We’ll be sure to keep you updated as more info becomes available! 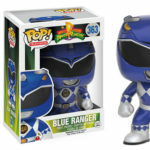 Coming Soon from Funko: Power Rangers!! Hot on the heel of the Legacy Thunderzord reveal by BandaUK, Amazon France has put up the box image from the upcoming Legacy Falconzord. The box indicates that it’s based on the Power Rangers: The movie, so does this mean that Legacy Ninjazord isn’t far behind? Share your thoughts with us in the thread below! Have you gotten in a pre-order for the Legacy Falconzord yet? Look no further than our friends & site sponsor BigBadToyStore to do so! 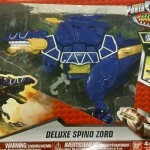 Dino Supercharge Deluxe Spino Zord Found at US Retail!! Hot at the heels following the recent release of the Deluxe Black T-Rex Zord, The Dino Supercharge Spino Zord has been found at Target!! The Spino zord features the spine/back mounted missle firing weapon in blue and yellow, serve as the main body and is compatible with previous release dino zords. Have you found any of the new hot 5″ Dino Super Charge figures or Zords at retail yet? 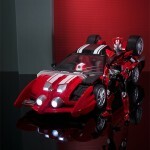 If so sound off in our Toku Toy Sightings forum where we have state to state threads for locals to share their finds! Our very own Kickback is back! This time he interviewed Adam Newman from Tamashii Nations, who was at the Bluefin booth. From the interview, Adam talked about the state of the market when it comes to Figuarts, from Sentai/Power Ranger to Kamen Riders, and Anime in general. 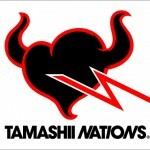 Tamashii Nations USA is taking a break from anything Power Rangers related for SDCC, in fact, while MMPR related product sold very well (Figuarts White Ranger was their best ever), Figuarts that aren’t MMPR didn’t do so well. For example, the Figuarts Zero MMPR Red Ranger is being shelved because Tamashii Nations is less than satisfied with how the Figuarts Zero MMPR Green Ranger performed. The overall state of Figuarts is doing very well however, in fact, the Figuarts market; when it comes to Kamen Rider and Anime properties, are growing so fast that Tamashii Nations had to restrategize so they can keep up with the demands. Kamen Rider is doing so well that any past or new Kamen Rider characters has a chance to be made. As for Sentai, if Ninninger can gain enough popularity, it’s entirely possible for Tamashii Nations to consider making the Figuarts as well. When it comes to Power Ranger news, Tamashii Nations said that repackaging Kyoryuger Figuarts into Dino Charge is entirely possible, something for them to consider. Tamashii also has interests to partner up with Saban Brands and Bandai of America to do something MMPR Movie related, but it would have to depend on how the movie progresses. 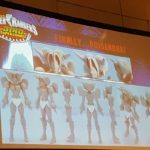 SDCC Breaking News – Legacy Thunder Megazord First Look! But yes fans, your enthusiasm and patience have been rewarded. From the Bandai Booth at San Diego Comic Con we can officially reveal to the world for the first time the Mighty Morphin Power Rangers Legacy Thunder Megazord!! 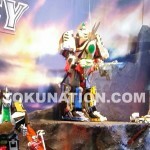 In all it’s gloriousness the Thunder Megazord is displayed right now at SDCC along with a host of other Power Rangers toys and collectibles including.Ever since the release of the Legacy White Tigerzord, the Thunder Megazord was all any Power Ranger fan could talk about, and now it is a reality, stay with TokuNation as we bring more reveals and close up images of this new Legacy product! Be sure to follow us on twitter for our latest breaking news from San Diego Comic Con 2015!! 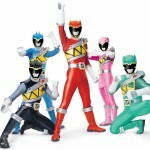 Courtesy of Viacom, the parent company of Nickelodeon, an array of high resolution images of the cast of Power Rangers Dino Charge in costume have been released. These images gives us a couple of standard team shots but we also have the welcome addition of helmetless ranger images. It’s always nice to see these types of HD photos and even better when they’re provided directly by the source. As the season continues we can probably expect more such photo dumps, especially as new rangers appear! 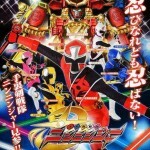 Shuriken Sentai Ninninger Full Catalog Cover Revealed!! Finally, out of the shadows we have our first official look at the newest Super Sentai: Shuriken Sentai Ninninger!! Premiering on February 15th, 2015! This full scan of the catalogue cover for the 39th Super Sentai seems to confirm the toy release information we discovered yesterday as well. Meaning we’re in for a pretty unique year theme wise. Further this image also makes mention of 1994 & 2002 in references to Kakuranger & Hurricanger respectively. Much like Kyoryuger’s dino team up could we expect something similar for our ninja theme heroes? Stay tuned to TokuNation.com as we update this developing story! START YOUR ENGINE!! Because all we need is Drive! S.H. Figuarts Kamen Rider Drive that is, and you can get your very own in April of 2015 for 4,320 yen. Tamashii Nations went all out and provided many detail pictures of Kamen Rider Drive as well as a YouTube Video. Unfortunately the pictures did not disclose Tamashii Nation’s plans with the tire change gimmick features heavily in the show, but the YouTube video did show Kamen Rider Drive with the Max Flare form. For now, enjoy the pictures and get ready to lose all the tiny shift cars and tell us if you are ready for Drive in our discussion forum.